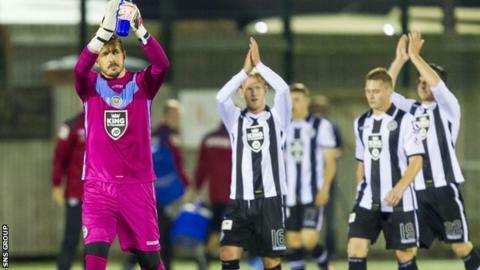 St Mirren came from behind to avoid a Petrofac Training Cup upset at Annan Athletic. The League Two side scored a first-minute penalty with Peter Weatherson firing home after Josh Todd was fouled. Jamie Langfield then denied Weatherson from close range before home keeper Jordan Hart saved brilliantly from a Calum Gallagher header. Jordan Stewart levelled with a low strike and Alan Gow completed the turnaround with a well-placed shot.